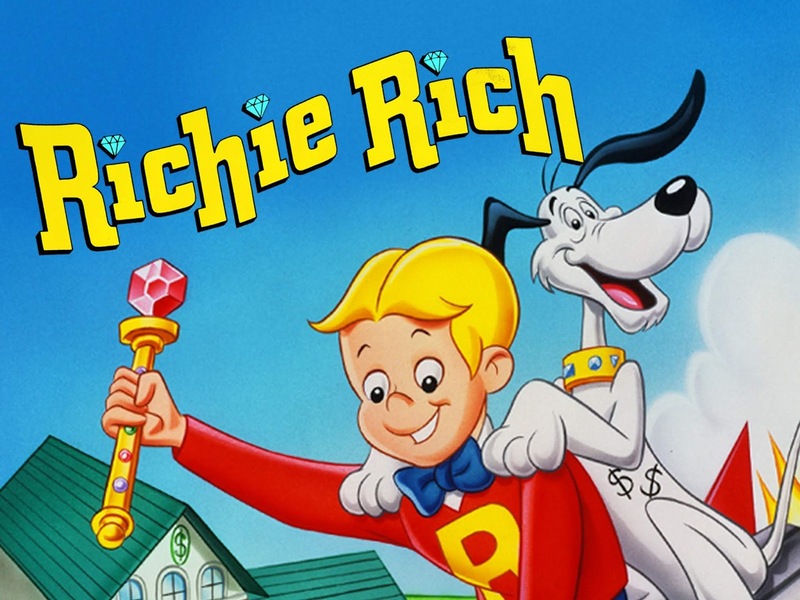 Richie Rich is a Saturday morning animated series produced by Hanna-Barbera Productions and broadcast on ABC from November 8, 1980, to September 1, 1984, based upon the Harvey Comics character of the same name. The series shared time slots with Scooby-Doo and Scrappy-Doo, The Little Rascals, Pac-Man and Monchhichis over its original four-year broadcast run. Many of the titles of segments were never revealed on air, but such titles were used in comic book issues then recently published at the time of production, but with a completely different storyline for the animated series.